Thea Studios is a small and cozy establishment consisting of 14 studios and apartments. 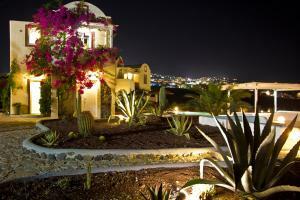 It is located at 15 minutes walk from the center of Fira, in Santorini. 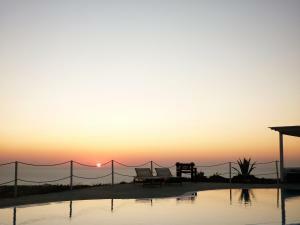 It offers a peaceful atmosphere and magnificent views of the Aegean Sea. This studio has a terrace with sea views. This spacious studio has a balcony with views of the sea or the pool. It includes a hydromassage shower and a seating area. This apartment has a balcony with views of the sea or the pool. It includes a hydromassage shower and a seating area. This apartment has a balcony with views of the sea or the pool. Offers a spacious bedroom. 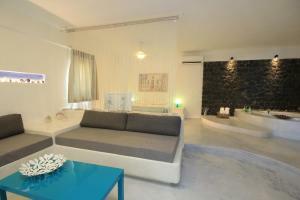 This apartment presents the typical architecture of the Cyclades. It has a seating area with a traditional built-in sofa bed, a 1 bedroom and a large kitchen. 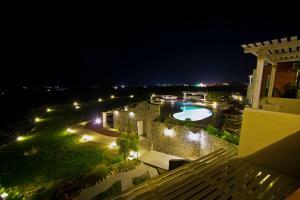 It offers a private garden and views of the sea. Soundproofed suite with a stove and satellite TV. This room type can accommodate a maximum of 4 guests (children included).